Personalized Name Poem. Meaning of Name Poem. This name poem includes the origin of person's name, & general characteristics for emotional spectrum, integrity, personality, relationships, career, life opportunities, the month and day of the person's birthday, and your personal 50 character message, 8.5 x 11" wood frame, beautiful swan lake artwork. 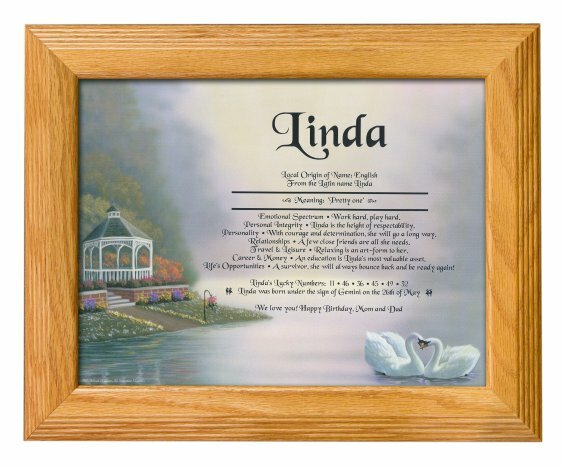 Buy this name poem as a special and thoughtful gift for anyone that you want to remember.